Finally the instructions for my Ford Mustang Shelby GT500 are here!! The original version showed in this website is the RC. The car has 3592 parts. The MANUAL version DOESN'T have a sequential gearbox, it has just a manual 5+R speeds gearbox. This is because the sequential gearbox can not be operated easily without a motor. 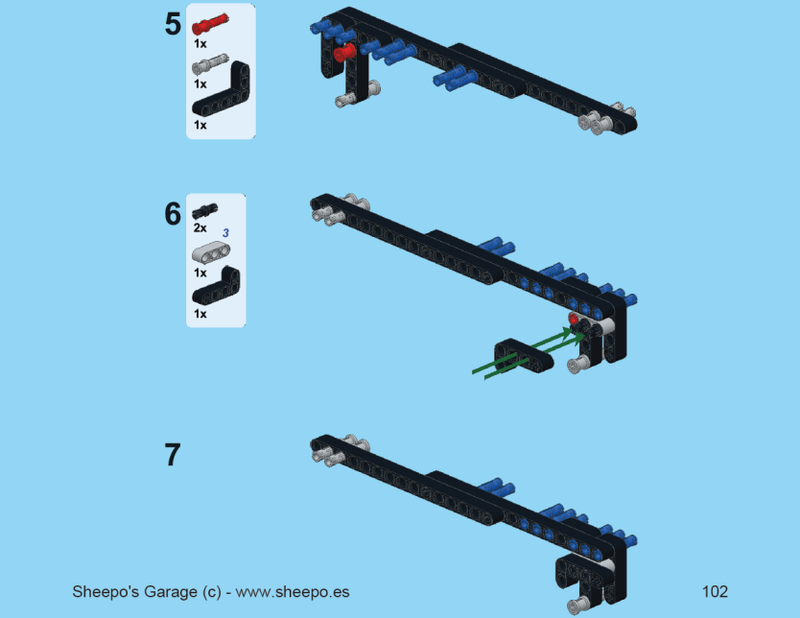 - The instructions has been tested by a Lego Technic expert builders, if you can't built the car and you think the instructions are wrong, please check your built twice before ask me. Will the parts list be on Rebrickable? Which one of your cars would you say is the best, the shelby or the defender? I've already built the defender and it works okay, but I dont really want to take it apart in order to build the shelby if its better than it. Rebrickable parts listing is 3592 and yours is in this post is 3564 ==> for the manual not the RC, but even the RC has different numbers. How much does this car ??? Does the RC instructions include the manual version too ? No, the RC has only sequential gearbox and the Manual only manual ones. How much all the pieces cost? Last month, my car was corrupted. I was going a GARAGE. when bill payment time had come i saw their was some shout of cash. Then i make a call by using my phone and told my brother that brought some money. my brother said, don't need that. just use your phone and enter www.exchangepaypaltoskrill.com. use this site. and solve your problem. After then Exchange PayPal to MoneyBookers and solve my problem. no.complete whole the car. how much eur ? This blog site is very excellent and efficient with what it does. You offer particular information on your material which get people to to understand so much about this topic. I am currently building the GT 500 - thanks for the great instructions! One questions: I´´ve prepared Stickers 1,2,3,4,5,R for the gearbox- could you please tell me at which step of the instructions i have to apply them and on which parts exactly? Maybe someone got a photo of the applied stickers before the gear box is covered? is there how to put ev3 brick in this car? Can I just check, the manual version needs NO electrial parts? 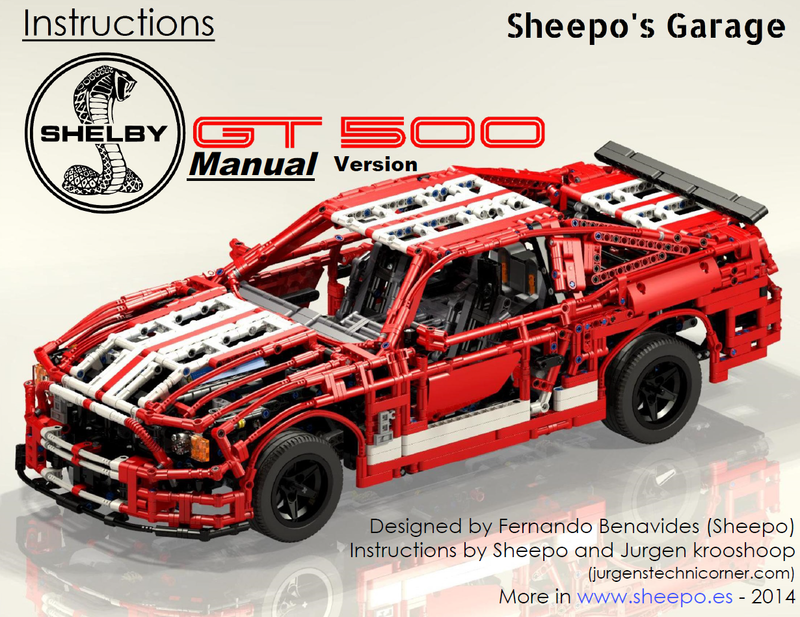 Hi Sheepo, do you think we can build this model as a '67 Ford Mustang Shelby GT500 Eleanor? Is there silver and black parts for body for this version? I have a ? Sheepo so what's the cost of $15.00 euros crosses over in to u.s. Money because I would really like to get the instructions for your mustang and also how would they be mail out as well thank u Michael. can i use instead of an M Motor an XL Motor? do you have plans to make free instructions for the sequential gearbox in your Ford Mustang Shelby GT500? Are you sending to everywhere, or near your home? I send the instructions by email, so I can send it everywhere. When I build the drivechain, will it be separate to the rest of the model in a sub-model, because I want to use the 5+R gearbox in another model?? Yes, of course. The gearbox is built separate and when it is finished introduced in the car. Hello all. hey guys i am buying separate parts for the first time. on the Bricklink website i search the parts and then do i have to choose on of the different websites to buy them? we buy them from separate websites? and i have to register to all of them? please someone help me on how i buy these parts? Thank you. Great job. it's crazy contraction. hi, you don't need to register in all that stores, you only need do it in bricklink itself. With it you can buy in all stores directy. Oh i see. thank you very much. Why you want do it in LDD?? In any case you can't, many parts used don't exist in LDD, also some parts connection are not allowed in that program. In SR3D you can built part of it but not all. You can find the facebook account in the right column in this web. Bricklink is very complex and confuse but there are not a better way to buy the parts, sorry. Available with rear-wheel or four-wheel drive and a seating capacity of up to nine, the Expedition is a popular choice among the consumers. So this free auto repair manuals Ford is quite impressive and I have also used this as I was having hard times in changing oil. А можно не покупать инструкцию?